please advise which is better among the three micromax knight or sony experia SP or canvas turbo ? worth for the value of money ? I am confused between MOTO G or MICROMAX Turbo.. 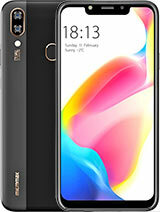 Since the user inbuilt memory is only 12.5 GB, can anyone please tell me the recording time of this phone on Full HD(1920*1080)? 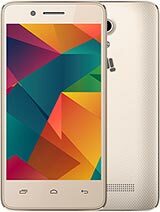 AnonD-262821, 14 May 2014Hello guys i am deeply confused between the the phones Lg g2 mini , canvas turbo and xperia c ... morehey Tanmay, i bought turbo 1 month ago. fits xactly to ur requirements. 1.5guad MT6589T processor, which i feel is better than on previous MMX phones. camera is awesome. full hd display(441ppi) is best in price range. it does fairly well in games compared to other phones in same price range. i am really happy with the phone and so is my friend who bought it at 17.5k when it was released. 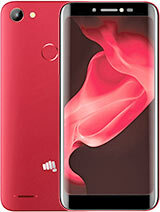 now its around 14.5k on flipkart. i have a blue phone, which looks damn good, much better than how it looks on websites. looks are improved with a black back cover. only problem is that it hanged once, but came back to home screen in next 30 seconds and it has nothing to do with no of apps playing in background. i think its due to sharing and downloading apps from unknown sources, which i did in beginning. then i factory reset my phone and downloaded all needed apps from play store. now no problem at all. also the xperia phones u mentioned contain processors already used by MMX in its previous phones like canvas hd- 1.2 guad MT6589 cortex A7. also 1.5 quad is better than 1.5 dual. and 1.5 Qualcomm is better than 1.5 mediatek(MT). but 1.5 MT quad is better than 1.7 dual Qualcomm if prior has 2GB ram, which canvas turbo has. hope answer to the question. for more, contact me. "abullais_g@yahoo.in"
by fluke a goldchain removing sequence of my cousin in the night by a gang got filmed by me so clear, that he got back its worth through police involvement with little effort unexpectedly. 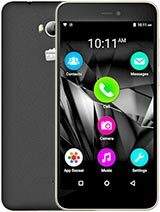 best phone ever released by MICROMAX..
AnonD-262821, 14 May 2014Hello guys i am deeply confused between the the phones Lg g2 mini , canvas turbo and xperia c ... moreCheck my comments....SP has its own problems..check the user opinions. I have a Turbo & you will be sorry after sometime...trust me. Sony xperia c is available for 16,350 INR ans xperia sP for 17,331 INR(India).Pleas help me as to which phone i shud go for,I am not a very heavy gamer and love to listen music , web browsing and videos.I will be doing mullti tasking, and DO NOT WANT THE PHONE TO HANG AT ANY COST.Xperia C has mediatek 1.2 quad core , xperia SP has 1.7 dual but Qualcomm.PPl tellin latter is faster than the mediatek.Also will having four cores mean easy multi tasking> or Qualcomm is much better with jus 2 cores?Also display of xperia C is qhd as compared with 720p of SP. but some are saying it looks better than SP.Your kind review wud be helpful as i am spending $300(18000) and want best value for money. 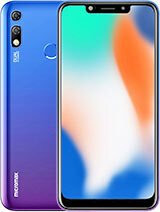 Guys,its been a little over 2 months that I have bought this phone..the thing that I have noticed in micromax,my prev was A110...is that all sorts of issues like hanging,heating,not holding the charge,start to crop up after the first 2 months. The phone runs like a dream phone in the initial stages only to make you regret bitterly afterwords. BTW I lost my A110 hence got the turbo.. It takes roughly 40 minutes for the phone to cool off if it was hot...or even to restart at times. Rest I leave it upto you guys. Many of you have been reporting that the camera hangs but i didnt experienced any issues like that ...i want to kmow that those who report that problem whats your custom build number..?? Mine is mmx 16 flasher user..